Few weeks after top entertainment personalities answered an urgent prayer call to avert untimely deaths in the industry, thanksgiving messages have flying on behalf of Yoruba sector of Nollywood since last two weeks. This is because; one of their very best actresses and producers survived a car accident. The entire Yoruba sector of Nollywood was thrown into serious thanksgiving on Monday penultimate week, as one of their veteran actresses Bukky Wright survived a ghastly auto accident. According to eye witness account, her new model Nissan X-Terra Jeep somersaulted at the outskirt of Lekki-Epe Road. While her car was badly damaged, the actress was rushed to one of the nearby hospitals for urgent medical attention. People, who visited the scene of the accident, glorified God that such an ugly incident was averted. 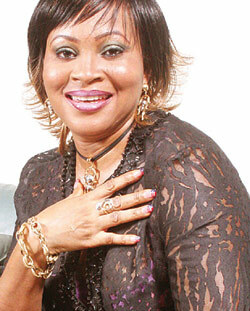 Meanwhile, it was confirmed that Bukky Wright responded to treatment immediately.